The wedding is one of the most important life events for many people and wanting everything to be perfect is part of it too! This includes the tiniest details to big arrangements and among these wishes is having the most beautiful wedding cake as well. 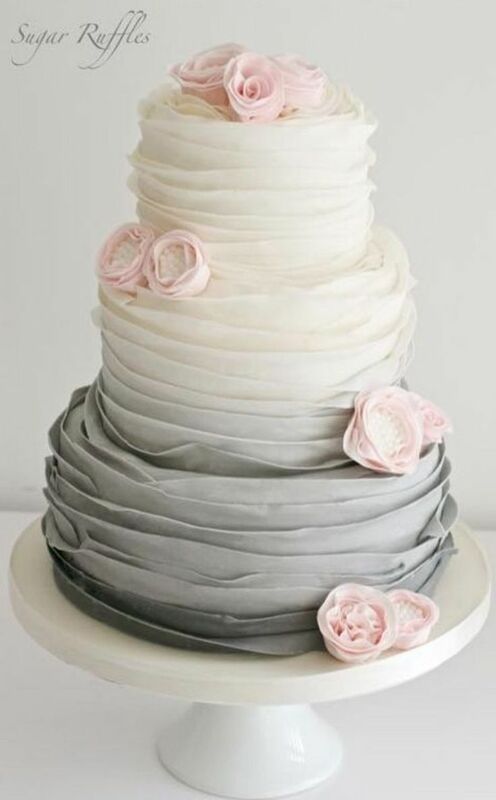 The cake shops are offering huge variety of cakes for your big day. There are so many types of flavors, decorations, textures that you simply cannot choose so easily! We picked our ten favorite cakes and we hope that they can inspire you for your big day – let us know which cake made the top of your list. 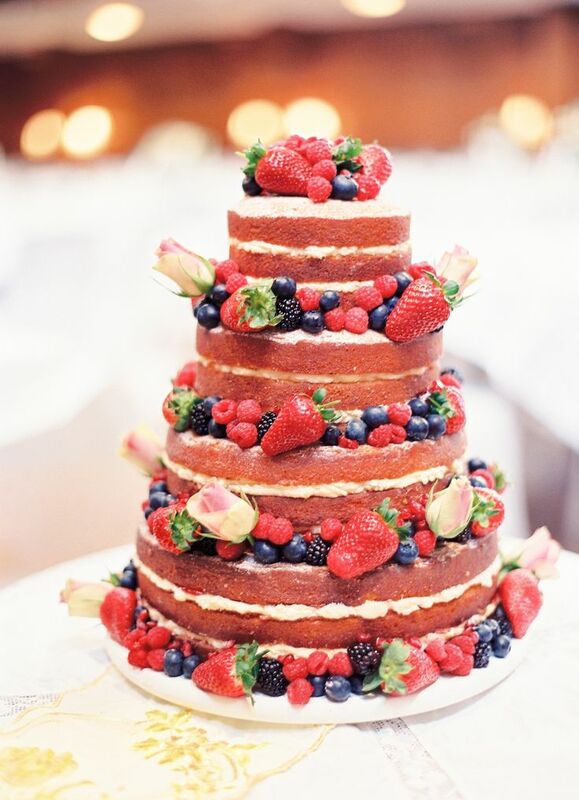 Berries cakes are always a good idea, especially if you’re planning a summer wedding. Decorating the whole cake with different kinds of berries is what’s going to make this cake look wonderful for your big day and let’s face it – it’s one of those cakes that taste just as much as good they look! 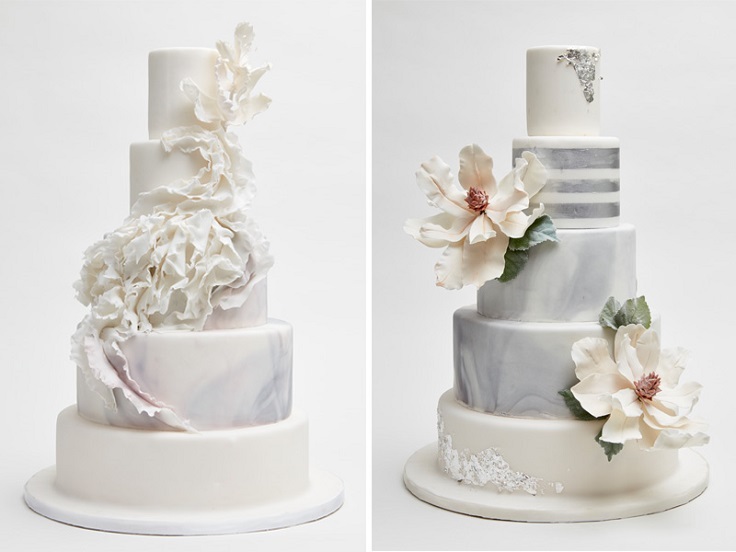 The floral cakes are ideal if you’re dreaming for a romantic, fairy – tale wedding. 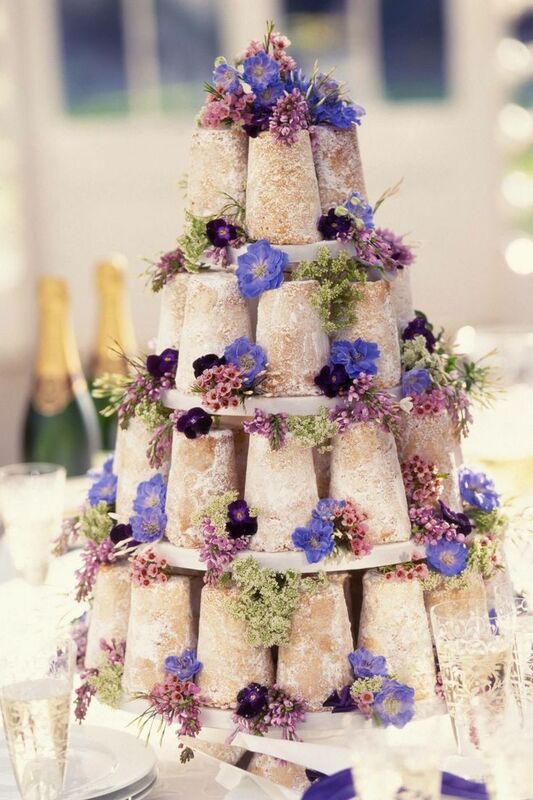 Pick flowers in pastel colors such as baby blue, purple and beige and arrange them around the cake. These kind of decorating will make the flowers look as if they’re blooming out of the cake, which in return would make it more charming. Having cupcakes is the new, non traditional cake at weddings. It’s not everyone’s cup of tea, but if you’re looking for a way to get away from the ordinary, this is an excellent idea. There are plenty of wedding – themed cupcakes that will take your breath away with their cuteness and elegance. After all, nothing can beat the good old, classic white cake. It’s simple, yet gorgeous and it’s perfect no matter what – rustic, countryside, modern or vintage wedding theme, whatever wedding theme you’d like, the classic cake would fit into any of these. To make it appear even more beautiful, you can order with few white flowers on it as well. This works especially good for multi – tiered cakes. 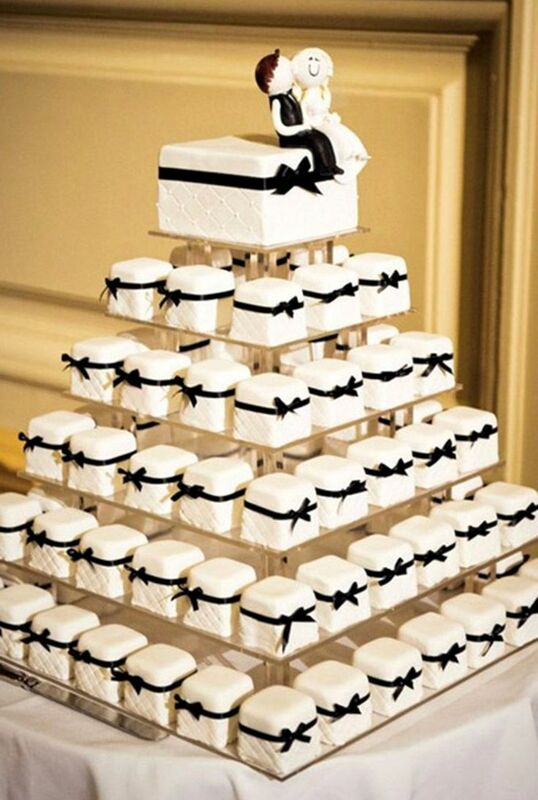 Each cake tier has different texture, which makes the cake really interesting and of course, even more charming! This is totally up to you and it’s even great if you can’t decide which texture – include more and you can have the cake of your dreams. You can choose edible gems, icing beads or fruits and flowers for more of a natural theme. 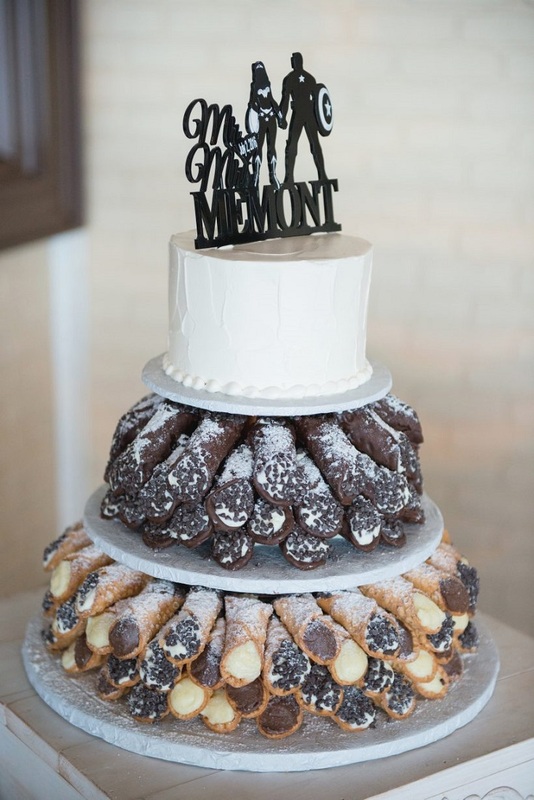 The cannoli cake is another non traditional idea for your big day. In case you haven’t heard of cannoli, they are an Italian pastry recipe that originates from Sicily. It is tube – shaped and filled with all kinds of ricotta fillings. With cannoli being served instead of cake, you can rest well that your wedding venue won’t turn into a creamy mess! 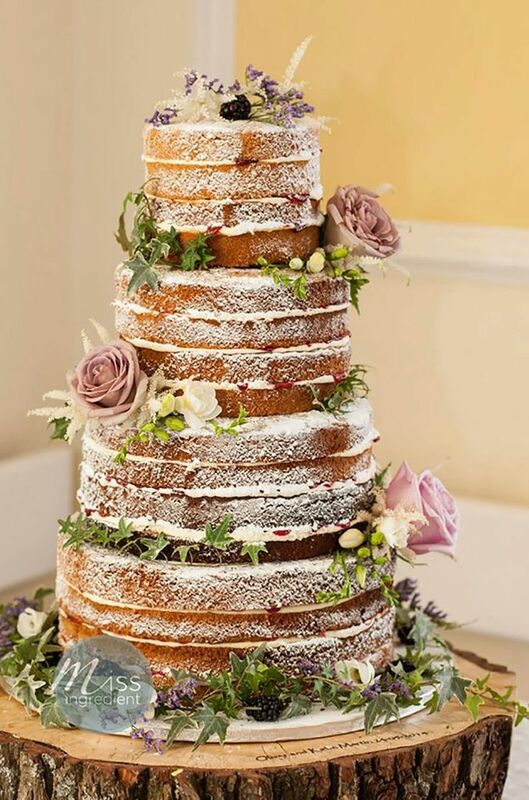 Similar to the floral cake we’ve previously shown you, this one really reminds us of a cake that is sent straight out of a fairy tale. It’s romantic, beautiful and breath – taking! This type of cake is ideal for the typical romantic weddings and those that are rustic – themed. But, whatever theme you pick, it fits perfectly well because who can resist to such gorgeous cake? Ombre is a trend that got extremely popular few years ago and it wasn’t just the fashion industry obsessed with it. Being so popular and gorgeous, it spread into the wedding industry and soon there were ombre cakes as well. There’s something really delicate and nice about this color – changing effect that fits perfectly for weddings! The marble cake is a very cool twist to the classic white cake. It gives a totally different look, while at the same time keeps the grace and the beauty of the classic one. You can ask for decorations, as they will make it look even prettier. 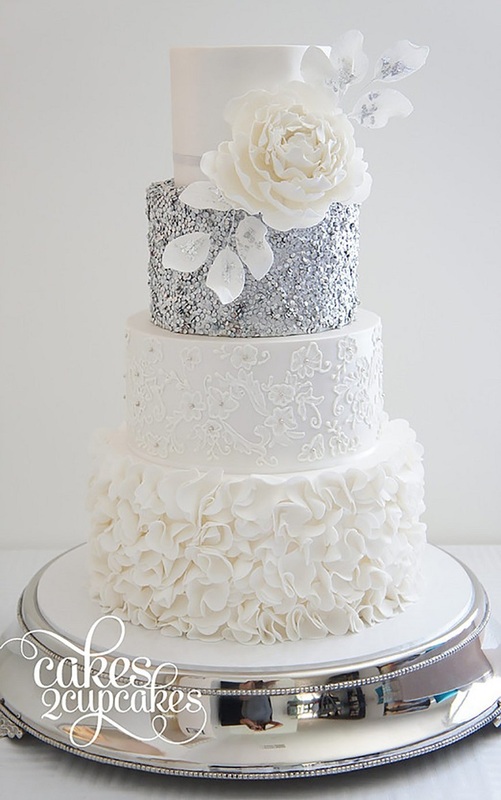 White flowers and icing beads can go so well with it. 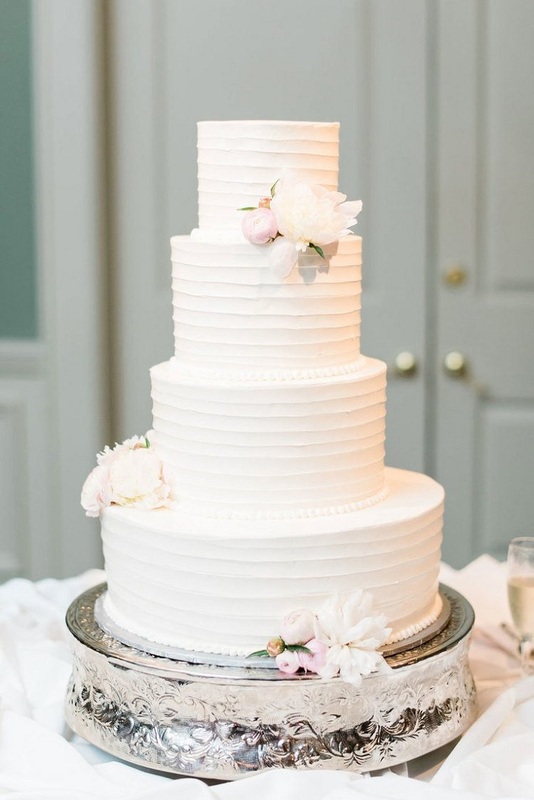 This is one really glamorous cake and it’s perfect if you want a big, fabulous wedding. The color and the texture give away very elegant look and the flower just makes it even more gorgeous! 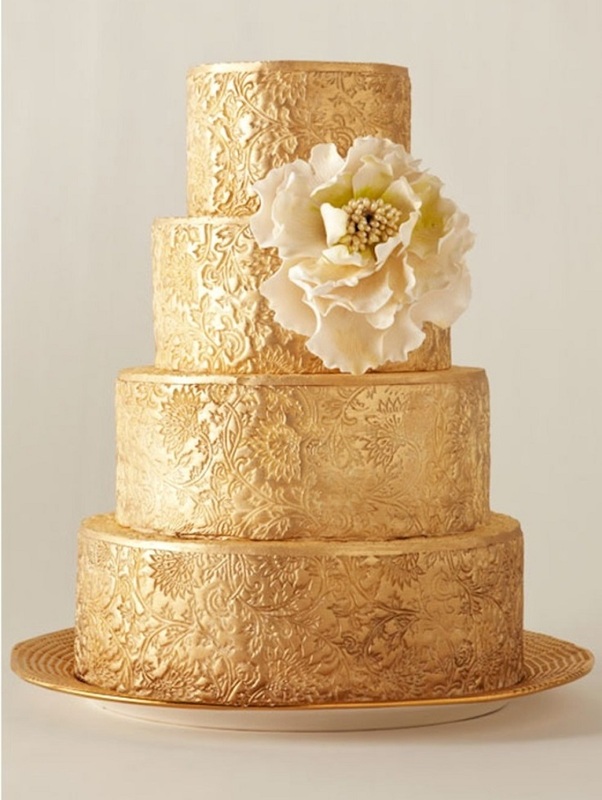 Pick your favorite texture, ask for a gold – dipped cake and enjoy your day.